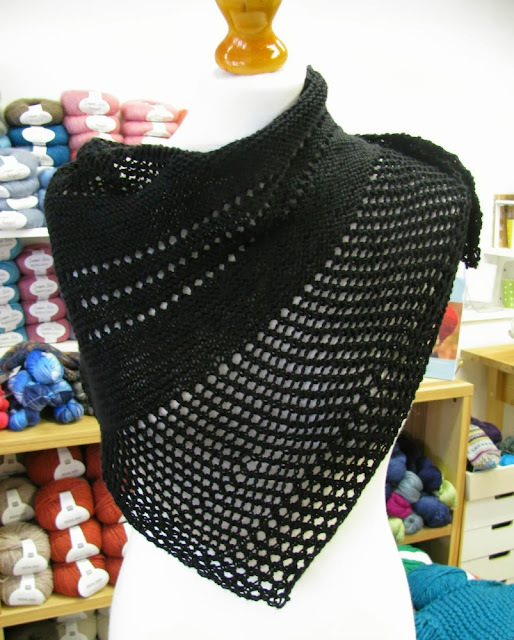 Fiona's new scarf/shawl ... an asymmetrical triangle shawl knitted with one hank of Aretsano Definition Sock - a wonderful 4ply merino. This is an easy knit, the lace sections are very simple to work and the shawl grows quickly. It does need a good blocking though - to open up the holes. 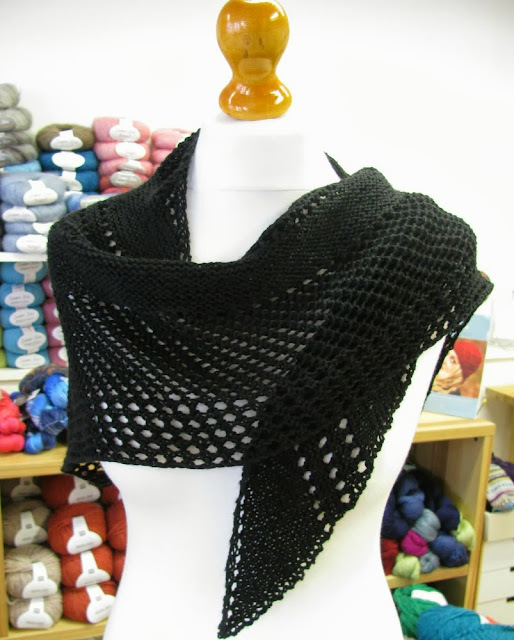 Our new KnitPro blocking wires are perfect for this! 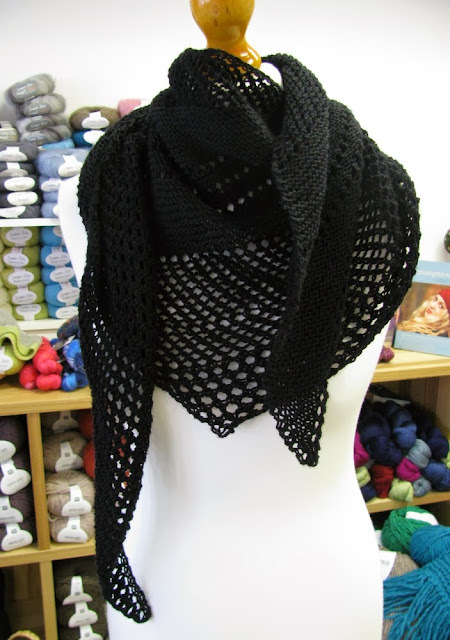 Asymmetrical is a great shape for a small shawl - you get a lot more drape... Check out these shawls tagged as asymmetrical on Ravelry.